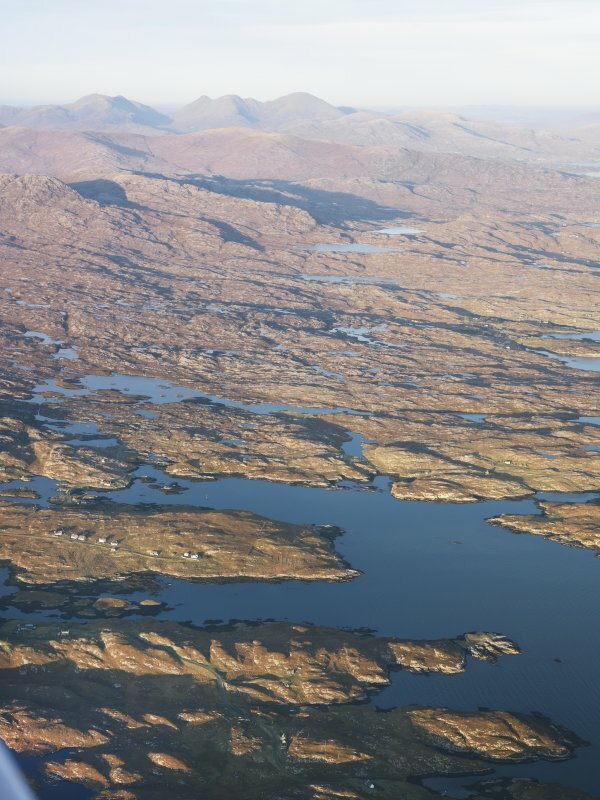 General oblique aerial view of the remains of the townships of Borsham, Ardvey and Finsbay, with nearby head dykes and lazy beds, Harris, taken from the SSW. 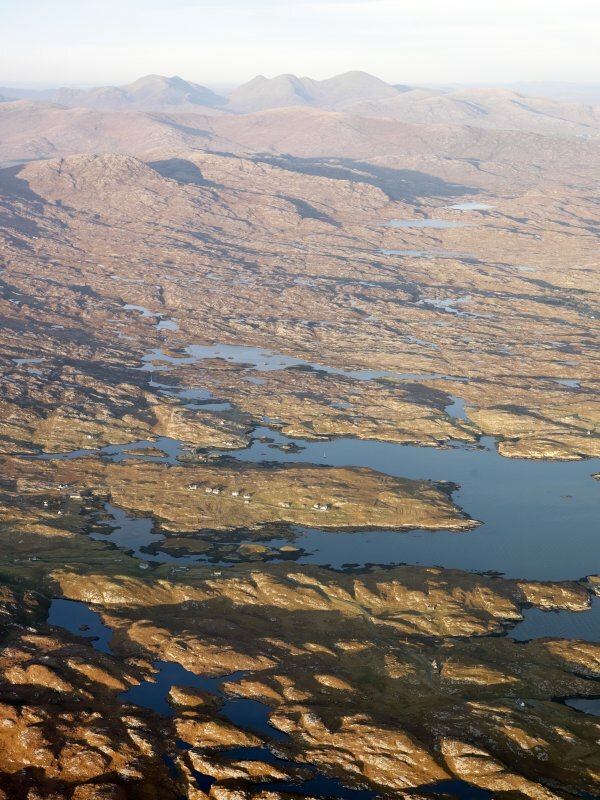 General oblique aerial view of the remains of the townships of Ardvey, Finsbay and Borsham, with nearby head dykes and lazy beds, Harris, taken from the SSW. A township comprising fifteen roofed, one partially roofed, two unroofed buildings, seven enclosures and a head-dyke is depicted on the 1st edition of the OS 6-inch map (Inverness-shire, Island of Harris 1882, sheet xxiii). Seven roofed, eight unroofed buildings, four enclosures and a head-dyke are shown on the current edition of the OS 1:10000 map (1974). Information from RCAHMS (SAH), 14 March 1997.